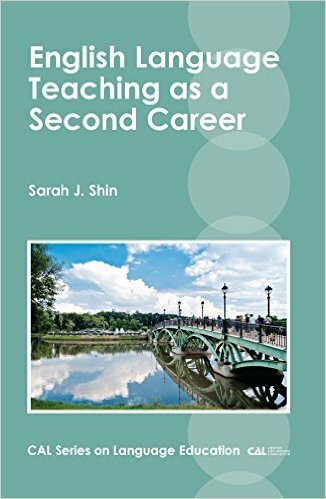 After conducting in-depth interviews and observations of students in a teaching English to speakers of other languages (TESOL) graduate program, Sarah Shin, professor of education and special assistant to the provost for academic initiatives, has published a new book that examines TESOL as a second career. The book, titled English Language Teaching as a Second Career (Multilingual Matters 2016), explores the challenges and successes that professionals ages 45-73 go through as they develop as teachers and launch their second careers. In the book, Shin explains that many adults are transitioning into new professions and working later into what has traditionally been retirement age. She explains how the students she interviewed think of TESOL as it relates to their overall life goals and achievements and how they want to improve the quality of life in their communities through education. “A welcome addition to the growing literature on teacher development, this book will be an important resource for teacher trainers and anyone working in TESOL,” the publisher states on the book’s back cover. The text has received many favorable reviews for its ethnographic approach to reflecting on teacher experiences as they begin second careers in the context of growing demand for K-12 English language teachers in the United States. “Sarah Shin makes a compelling case for the demographic changes in education and the accompanying challenges and opportunities for training a new breed of ESL teachers who bring profound real world experiences to their classrooms. A ‘must read’ for teacher trainers and for baby boomers contemplating how the next chapter in their life story will be written,” shared G. Richard Tucker, Carnegie Mellon University, in a review. Shin is an expert in bilingualism, heritage language education, and TESOL teacher training. She is the author of two previous books Bilingualism in Schools and Society (Routledge) and Developing in Two Languages (Multilingual Matters). Earlier this year, Shin was selected for inaugural class of the American Association of State Colleges and Universities (AASCU) emerging leaders program. Read more about her work and research on the education department website.